Problems with damp, mould, and condensation can be expensive and worrying for project managers. Combating these problems needs high performance damp proof and anti-condensation paints with specific properties to combat the potential scenarios caused by fungal growth and mildew. For storage facilities, for example, finding damp and algae problems on walls, floors and ceilings may mean that the ‘problem’ has affected stock, too. Anti-condensation and related hygienic coatings are best seen as a precautionary and preventative business measure, and not always a problem-solving product. Food processing and packaging plants must deal with substantial amounts of steam in advance, before health and safety protocols are breached. Rawlins Paints stock a range of damp proof paints which have anti-condensation, mould resistant and anti-fungal properties, all in a choice of finishes with long lasting solutions to any damp problems. If you require assistance with a full hygienic paint system installation, contact our Technical Support team, who’ll be happy to help with preventative measures that meet your environmental conditions. 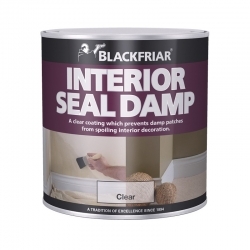 Don&rsquo;t let damp patches spoil your interior decoration, protect it with Blackfriar Interior Seal Damp. Mathys Pegaprim Sanitop is an interior and exterior wall and ceiling paint based on water-based acrylic resins with excellent covering power. As damp and mould are common and recurring problems that affect commercial and domestic buildings, we’re often asked about the best products to use. You can either choose a primer to use underneath your own choice of paint, or you can buy a full system with a topcoat that can prevent further damp and mould problems. Although these products are often referred to as umbrella problem-solving products for internal damp, condensation, or algae growth on walls and ceilings, differentiating and diagnosing the specific problem is important in finding the most suitable product. Damp comes from the actual building structure lacking a protective barrier against moisture penetrating through substrates and surfaces. Rising damp is one example of problems stemming from damp proof barriers being breached and causing internal problems. Leaking roofs is another example of how damp can penetrate a property. Due to this, dealing with damp internally on walls and ceilings using a specific paint does not mean that the damp problem is resolved – as water and moisture’s point of entry is still available. Specific rising damp and roof repair products are also available at Rawlins Paints. Condensation – sometimes incorrectly labelled as damp – is caused by lack of ventilation. Laundry facilities, restaurants and cafes, or contained areas where cleaning equipment that produces medium to high volumes of steam are particularly prone to condensation. 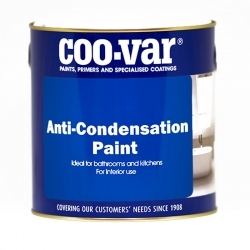 In this case, if improved ventilation is not available, anti-condensation paint can prevent this moisture build up from causing stagnant smells, stains and surface discolouration. Over periods of time, anti-condensation can stop surface materials breaking down, corroding and eventually the underlying substrate can be attacked, where rust may occur, or businesses may need to close facilities to conduct maintenance and repair work. Please remember that damp and condensation does not just affect surfaces and substrates, but staff overalls stored on-site, surplus and stored stock, along with personal health can be affected, too. Product choice therefore is dictated by the size of the surface, the nature of the challenges of the environment, and whether structural repair work is required to compliment these products in treating damp or improving ventilation in a property. Zinsser Perma-White Interior Paint is guaranteed for five years against fungal degradation thanks to the biocide it contains. Zinsser Perma-White bonds to existing glossy or solvent-based paints, as well as ceramic tiles, all without sanding. Zinsser Perma-White damp paint is perfect for any room that’s humid, subject to temperature changes and has poor air flow. Perma-White Interior Matt Paint (formerly Perma-White Eggshell) is another product that’s great for high humidity areas. It gives a matt finish with a low sheen, ideal for kitchens and basements that need protection and a decorative coating. For areas that have a lot of use and are likely to suffer a lot of wear and tear, such as bathrooms and laundry rooms, Zinsser Perma-White Interior Paint is ideal, as it gives a satin finish that’s easy to scrub clean. If you’re looking for a lovely finish to the exterior of a building that’s likely to sustain a lot of wear and tear, Zinsser Perma-White Exterior Semi-Gloss is a good option. It’s an ideal damp proofing paint for nursing homes, schools, hospitals as well as in homes and gives five year’s protection guaranteed against mildew and mould. 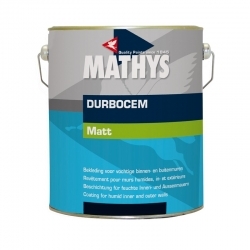 As a problem solving anti-fungal damp proof paint, Rust-Oleum Mathys Durbocem is an excellent choice. It contains cement, which bonds well to the moisture on the substrate, forming a strong anti-moisture coating. Mathys Durbocem can be used inside or outside and allows the wall to breathe, so water pressure can’t build up and spread damp to other areas. We recommend this product particularly for walls prone to damp and for cellars and basements. Thermilate InsOpaint Anti-Condensation Paint is perfect for interior walls and ceilings as it fights condensation, mould, staining, peeling wallpaper and discolouration. 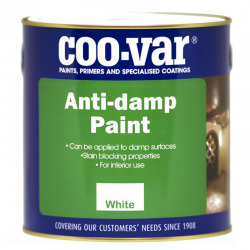 InsOpaint Anti-Condensation is a high quality acrylic paint available in many colours, giving an elevated level of thermal insulation as well as damp proofing properties. It’s a potentially appropriate choice for domestic use as well, if you’re looking to decorate an area prone to damp and condensation. 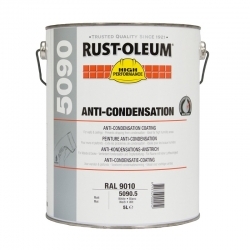 For areas where lots of water or steam vapour forms, such as shower rooms, laundries and bathrooms, Rust-Oleum 5090 Anti-Condensation Coating works well. 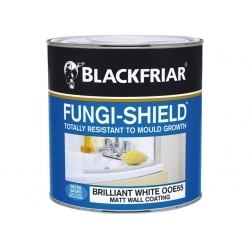 Rust-Oleum coating absorbs water and contains a fungicide to help prevent the growth of mould. It can be used on ceilings and walls as a one coat application but can also be applied in two or three coats for a specific textured finish – decorative and functional, the perfect combination.